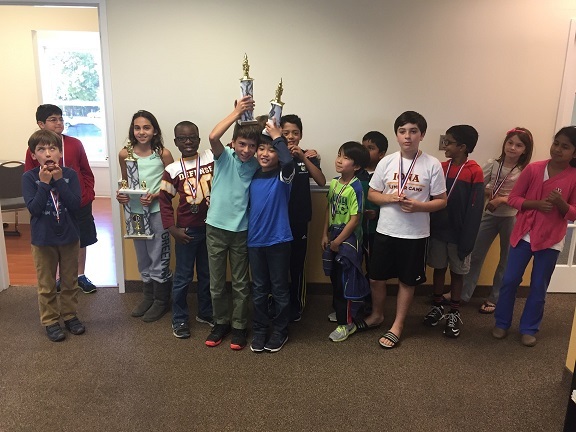 This month’s K-8 Scholastic Championships was a sold out event at CCFC. We were very happy to see many new faces (both to CCFC and tournament play). 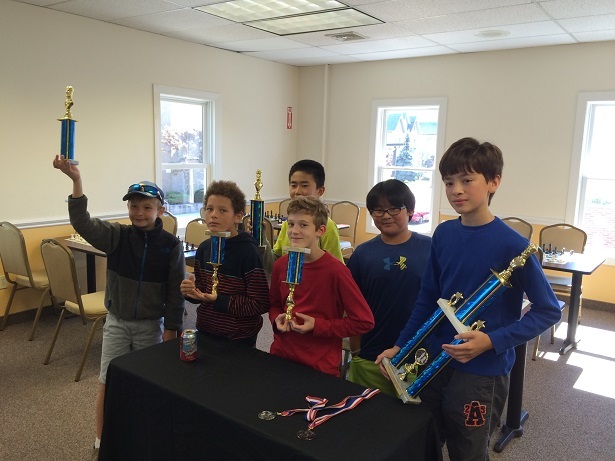 Dream Teamer Andrew Gray had a breakout tournament, winning the K-8 section by a full point despite there being some very strong competition. Allen Dong, Michael Fotin, Alexander Zhelonkin and Giacomo Lowenstine all tied for 2nd place with 2.5/4 each. The K-5 section was one of our largest sections ever. Meena Behringer was the deserving winner with a perfect 4/4 score! Tied behind her with three points each were Nicholas Kurbanov, Peter Liu, Mia Kai, Gidon Genger and Noah Galsky whose efforts were all impressive. Congratulations to Tharun Raviendran who competed in his first ever tournament! 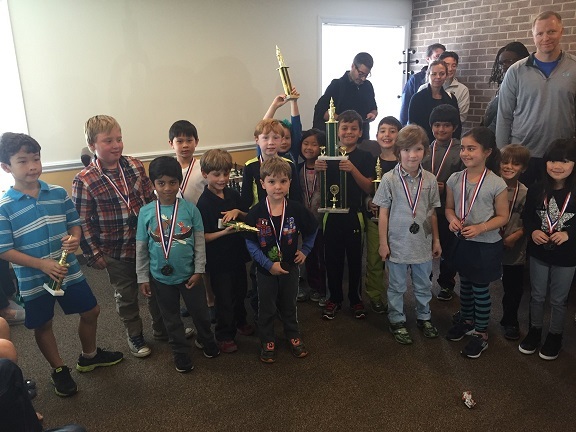 Not to be out done, Meena’s younger brother Neel also scored a perfect 4/4 score in the K-2 section, winning sole first place! Just behind were Max Ingargiola, Lia Lavin, Avery Beck, and Nathan Tadiashvili. Chayce Marshall, Sophia Dewan and Colin Vincent all participated in their first ever tournament with great results! As always, we must congratulate all of our participants for their tremendous efforts and sportsmanship throughout the tournament. We hope to see you at our next K-8 which will take place on November 22nd.